A marketing and sales consultancy helping companies acquire, grow, and retain customers. They work with clients across North America and Europe, including one-third of Fortune 100 companies. Lenati’s clients list is unmatched—accelerating brands like, Nike, Starbucks, Hilton Worldwide, Adobe, Nordstrom, Microsoft, AT&T, Expedia, Capital One, T-Mobile and many others. 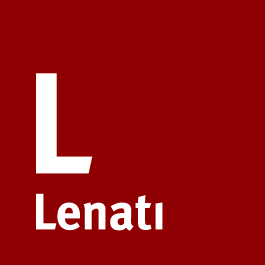 Lenati is different in that their services span an area between traditional consultancies and agencies—while they have deep capabilities around advanced analytics, research, and corporate strategy—its ultimately their expertise in marketing technology, mobile, digital and UX that differentiates the firm. Lenati’s B2B and B2C services are intentionally built around a technology-agnostic platform, so they can help determine the best technology stack for the industry and customer base. Lenati has strategic partnerships with multiple technology providers to help make unbiased recommendations based on individual business and program needs.